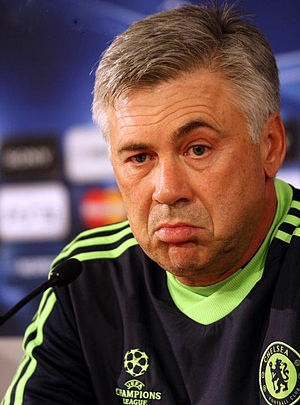 Following a 5-0 demolition of Almeria at the weekend, Real Madrid host Galatasaray in the Champions League group stage. Los Blancos have already secured their place in the last 16 round of the competition, while the Turks will be looking to upset the Spanish giants as they need to win at least a point from this clash in order to keep their hopes of reaching the knock-out phase alive. It has been a mixed campaign for the Italian manager as Real Madrid are only in third place in the Spanish Liga with a six-points deficit from Barcelona which is surely not something that is pleasing club management and fans in the capital.In Champions League however they have been nearly perfect with 10 points made in four games and there are only objective is to finish with a maximum advantage over the other teams. Galatasaray are currently in second place with four points in joined position with surprise package Copenhagen. Roberto Mancini is likely to play very defensively at the Bernabeu hoping to get at least a point which will give them a bit more chances ahead of the last match at home against Juventus. In their domestic league things are not going well as they are in third place and have a deficit of nine points from leaders Fenerbahce. Real Madrid produced a brilliant performance at the weekend, with the team rolling over Almeria 5-0, but Portuguese star Cristiano Ronaldo was forced off with a slight thigh strain. CR7’s injury is not as bad as initially feared, but the team’s top scorer will be rested against Galatasaray. Real Madrid are leading the Champions League group B ahead of the clash against the Turkish champions, with the team picking up 10 points from four encounters. The capital side has been scoring goals for fun this term and they will be looking to continue their unbeaten run in the competition on Wednesday night, despite already securing their place in the knock-out phase. In Cristiano Ronaldo’s absence newly-signed Welsh superstar Gareth Bale will be the man to watch in the home side. The former Tottenham man has been raising his form week by week and he will be looking to score his second goal for los Blancos in the elite competition. The winger is to find the net and I believe that there is a big value in this bet. Seeing that Real Madrid have already book their place in the last 16 round, boss Carlo Ancelotti could experiment against Galatasaray, but his replacements will be certainly very motivated to prove that they deserve their place in the starting line-up. Marcelo and Angel Di Maria have both overcome their respective injuries. Cristiano Ronaldo, Sami Khedira and Fabio Coentrao are out of contention. After they clinched yet another title in Turkish Super Lig, Galarasaray have not made a fine start to the new season. As a result, Roberto Mancini has replaced Fatih Terim as the team’s coach, but the Italian boss has yet to make an impact at Turk Telekom Arena Istanbul. Earlier this month the Yellow-Reds suffered a 2-0 defeat in the local derby against bitter rival Fenerbahce, and is seems as if they are unlikely to defend the league title. Roberto Mancini’s men occupy 4th position in the national championship, eight points adrift of Fener and the things do not look bright for the team in the Champions League group stage. Following a heartbreaking 1-0 defeat to Copenhagen, Galatasaray let go of what could have been a very important advantage for their hopes of securing their place in the last 16. Nonetheless, the Turks should not look back as they face an uphill task in the Spanish capital when they take on Real Madrid. Beating the Spanish giants at Santiago Bernabeu seems like a mission impossible at the moment, but the visitors will surely give their best in order to, at least, pick up a point from Wednesday’s match. Even if they suffer a heavy defeat to one of the world’s best teams at the moment, I am positive that Galata will find the net in Madrid as los Blancos struggle at the back. One of the key players Wesley Sneider and Semih Kaya are both likely to return to the starting lineup, but first choice goalkeeper Fernando Muslera is still out of contention with injury. both teams to score at 2.70 with Ladbrokes. Real Madrid are one of those sides who always go for a win regardless of against whom they are playing. I am positive that we are about to see a lively contest at Santiago Bernabeu, with both teams likely to adopt an attack-minded approach. When the two teams met earlier in the process at Turk Telekom Arena Istanbul, Carlo Ancelotti’s men recorded a 6-1 victory. I believe that both teams will score at least one goal once again, but the in-form hosts are likely to emerge triumphant. Te presentamos la version completa de esta hermosa cancion asi como su letra. Escucharla es el mejor preludio a un gran partido, como los que disfrutaremos esta semana. Pense no decirlo pues el juego termino hace horas y podria dudarse de ello, pero aposte al empate en el Liverpool-Chelsea de hoy… pero para evitar sospechas veamos como va en las recomendaciones para el Barca-ManU, de entrada un choque apasionante. Pero antes quisiera comentar un poco lo que paso en el juego de hoy, sere breve por cuestiones de tiempo, sin duda hoy se perdieron grandes cantidades de dinero, por una de los principales errores de los apostadores, el respaldo excesivo para el favorito… y si tal vez fue un resultado injusto para el Liverpool, y el Chelsea se mostro chato e inoperante en la ofensiva, pero señores al equipo mas experimentado (por encima del Milan) y caro del mundo en los ultimos años no puede despreciarsele como la mayoria de tipsters y “foros de apuestas” hicieron hoy al declarar amplio favorito a los reds, cuando en todos los antecedentes previos habían empatado, y maxime que el equipo de Roman Abramovich marcha en la Premier por encima del Liverpool en la clasificación. Por lo tanto vimos hoy un tipico juego de “ida” de UEFA Champions League, en el que un afortunado tanto en contra de Risse deja al Chelsea con muchas posibilidades para el encuentro de vuelta y con un momentum importante, para el vital juego del sabado en la Premier league ante el Manchester United. under 2.5, a 1.71 stake 3/10, apostando tambien al resultado 2-2 para cubrir la apuesta. Mañana analizaremos los interesantes partidos de la copa UEFA que presentan algunas cuotas interesantes que no hay que dejar pasar… suerte! ¿Callara Cristiano Ronaldo el Camp Nou?